The big enterprise service provider, Bharat Berry, is happy to announced that they are now supporting Nokia devices for their app and service. 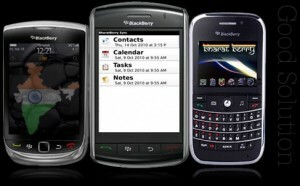 Currently they are offering free mail, contacts, and calendar sync to S60 3rd devices until Feb 2011. A big big blowout by Bharat Berry to my Indian friends outhere. “This software is called BharatBerry. It offers advance push mail with over-the-air (OTA) backup of your contacts, tasks, calendar and notes. Also, it provides Sync to your Outlook mail,” Data Infosys’ chief executive officer Ajay Data said.